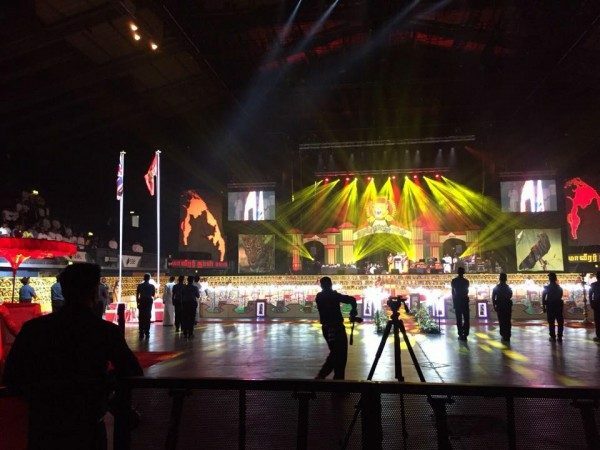 Hosting an event which requires a main stage can often seem impossible to organise, especially as there are so many considerations to think about. However, creating a successful main stage can be much easier than you think. 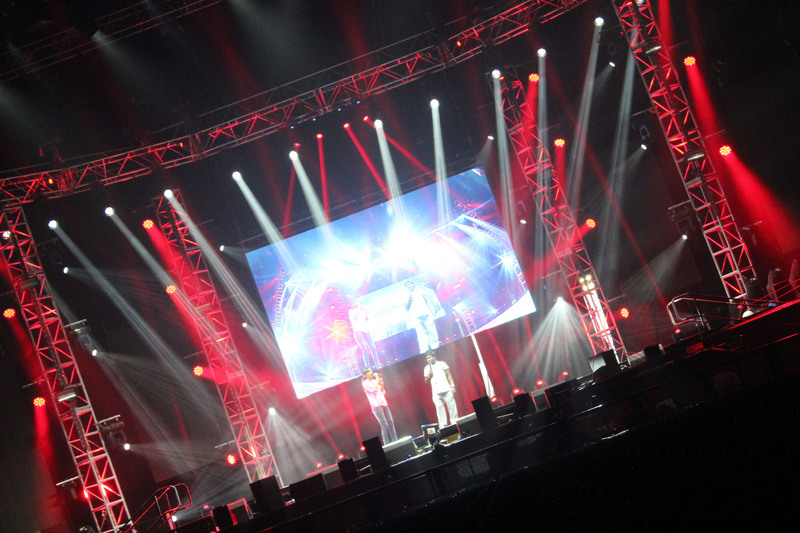 Here at Pro System Services, we’ve had years of unrivalled experience in helping artists and event managers create the perfect stage environment, so we know how easily it can be achieved – if you know how! Need some advice or inspiration for your stage set up? Look no further! Lighting is an essential component of a stage set up, and getting it wrong can severely impact the impressiveness of your stage. Different lighting techniques can give a stage environment a different look or feel, so make sure you’re using a lighting set up that compliments the event that you are holding. 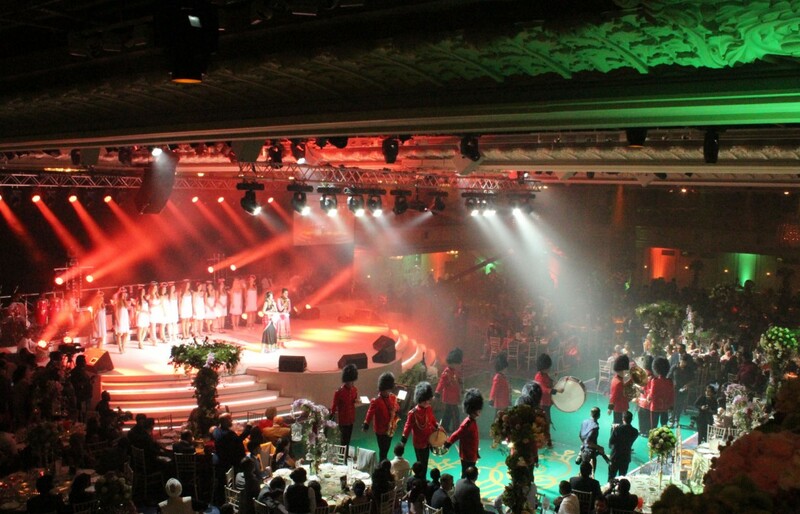 For example, we helped with the production of the main stage at the Muslim Lifestyle Show in London; we wouldn’t use the same lighting set up for a larger music performance because it simply wouldn’t create the appropriate atmosphere! We’re not necessarily talking about the shape of the stage here; rather the shape of the stage set up that you are creating. Nobody wants to look at a stage which is boring and flat, no matter what type of event you are hosting. You need to give the space some depth and some character, which is often easily done through the shapes used in the set up. In fact, shape can often be one of the most important aspects of stage and set design. Different shapes can signify different things such as emotion, strength or weakness, especially within the theatrical industry. Adding some form of shape to your set is always advised to keep the audience interested and focussed. If you have a plain, blank stage, you can guarantee that their attention will soon be elsewhere. Following on from shape, you need to keep your set visual. In conjunction with your lighting and sound set ups, you will want to be able to attract – and more importantly keep – your audience’s attention for as long as you need it. Play around with colours, adapt your set for different sections of your event, or even just change the lighting set up every now and then to keep things visual and keep their focus firmly placed on what’s going on up on the stage. Humans are very visual beings, meaning that if there’s something that catches our eye, we’ll want to know more about it. Make your audience want more by designing your stage set up with a few hidden surprises; maybe a few quirky props, some subtle lighting options or even an impressive light show! 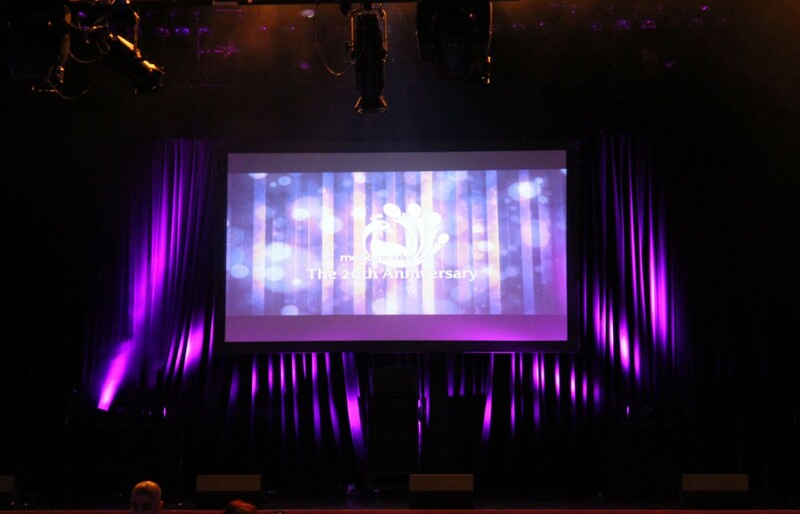 Keep your stage looking interesting and we guarantee that you’ll have an audience who it latched on to your every word during your staged event! If you need some help in creating that perfect stage set up, or are simply in need of reliable lighting, sound or staging technicians, don’t hesitate to get in contact with us here at Pro System Services today!